The B Street Bombers features outstanding musicians and singers delivering industrial strength R&B, Rock, Soul and Funk since 1980; they are the longest running band in Merrimack Valley history! The band has garnered widespread critical acclaim and a rich history of headlining major events. The band’s high energy stage show has been featured at civic celebrations, countless weddings, and a host of large scale corporate events. For over 35 years, The B Street Bombers has been one of the most highly sought after show bands in the Boston area, bringing high energy, world-class music to any venue! Formed in 1980, the band is enjoying an unprecedented successful run, and the band has received tremendous notoriety for an outstanding level of musicianship. 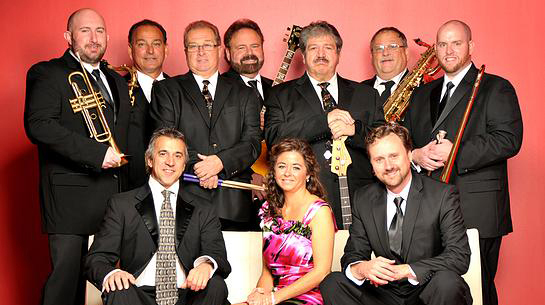 When you hire the B Street Bombers, you will rest assured that your guests will be entertained by 11 of the most talented musicians and vocalists in the greater Boston area.